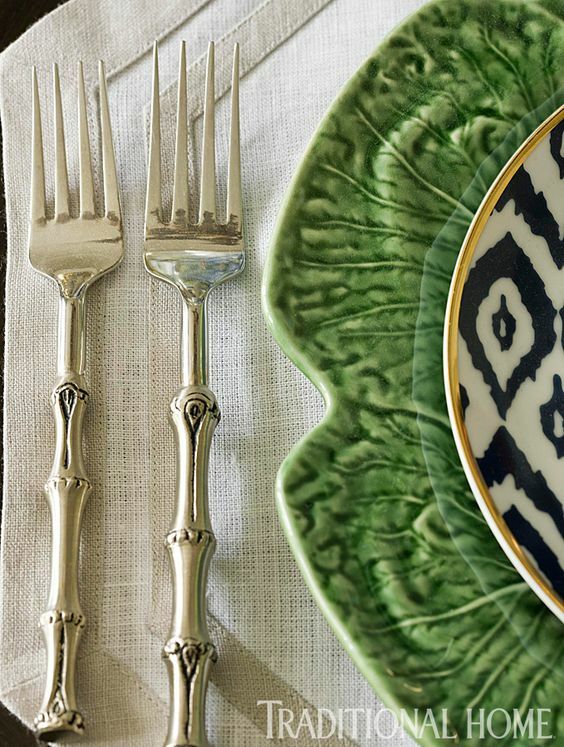 Never underestimate using holiday table settings as a feature and part of your home decorating. 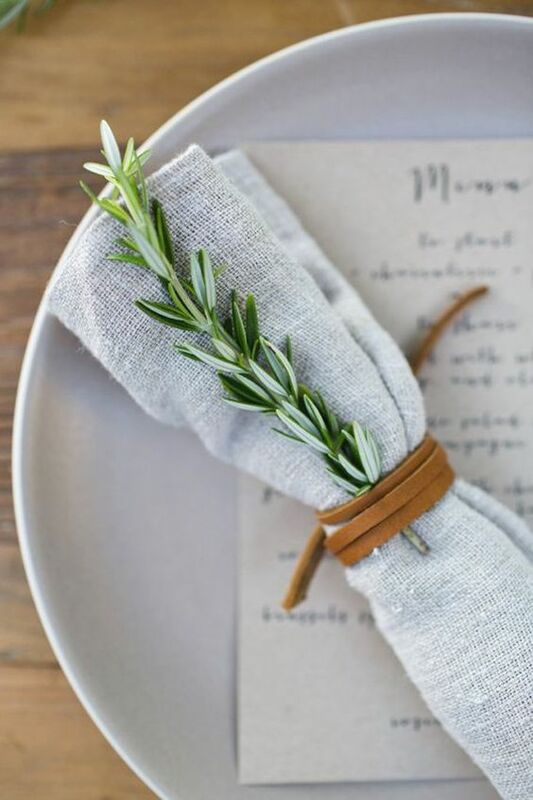 Table transformation can come from a single rose, a sprig of rosemary, a leather napkin ring or a simple menu. 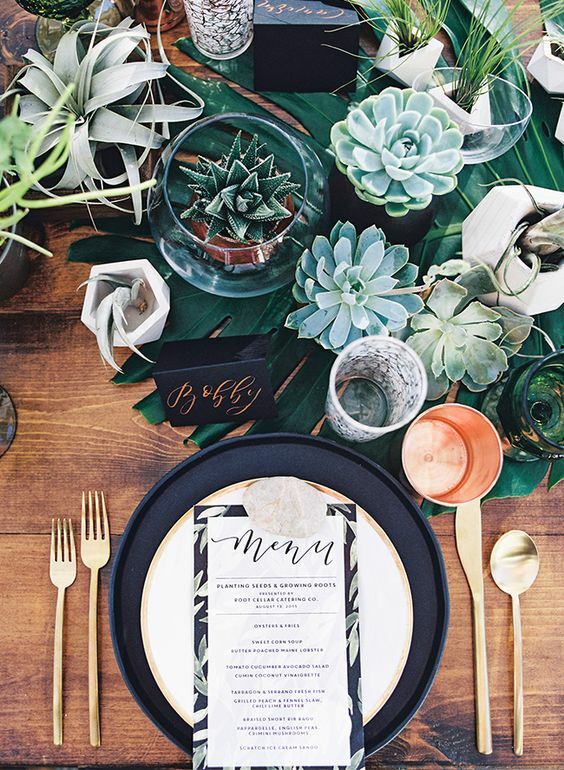 There are basically 7 components to table settings: glassware, china, flatware, linens, menu cards and/or place cards, flowers and seating arrangements. Its the details that turn it into something delightfully decadent. 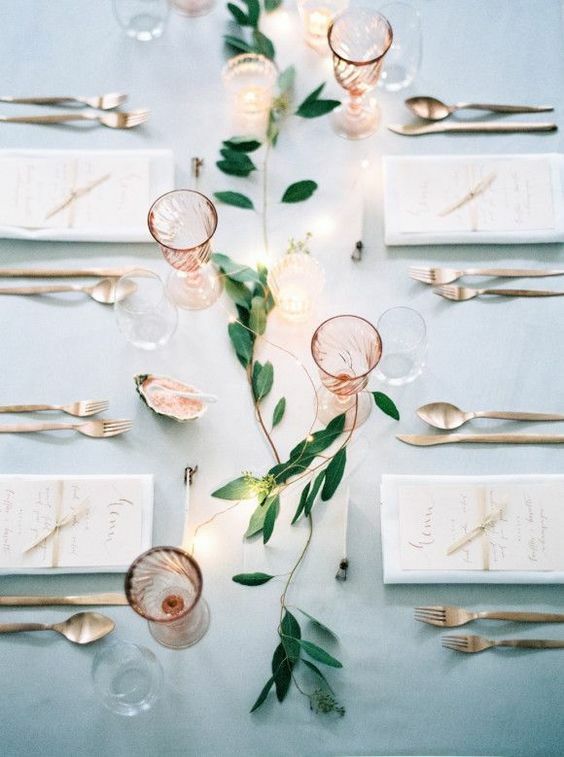 The table below uses white as a basic; with pink glasses, brass flatware and a touch of green as a contrast. Looks simple but so elegant and classic! 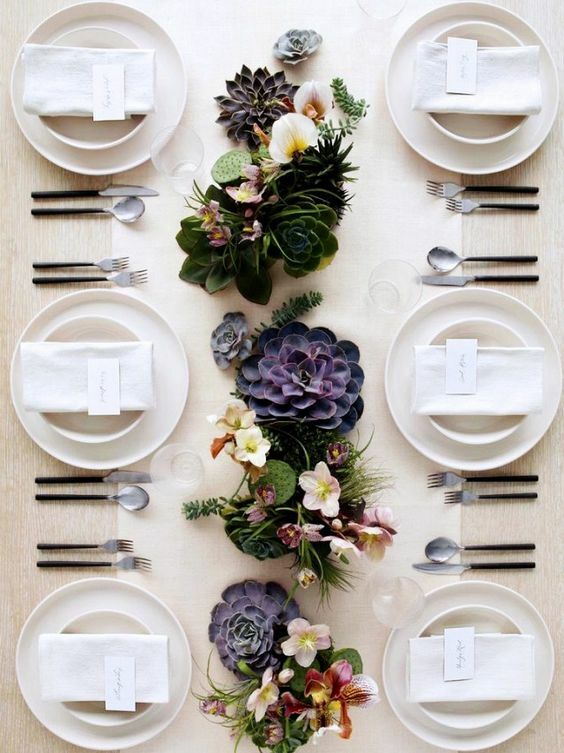 Focusing on a few elements can change your table settings into something rather spectacular. 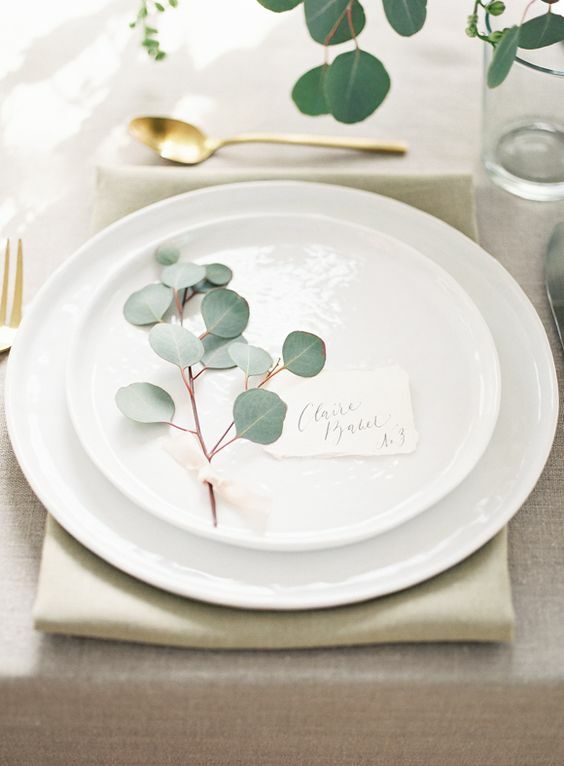 Even if your plates are white, your flatware inexpensive and your linens neutral, the addition of a creative menu or place cards, napkin rings, flowers and mixing up your seating arrangements adds something different to your table. Going all out with just a couple of these can make all the difference from plain to luxe, adding something special to the occasion and the overall mood. Here are a few tips to get your thinking and then we'll move on to a few themed table settings. 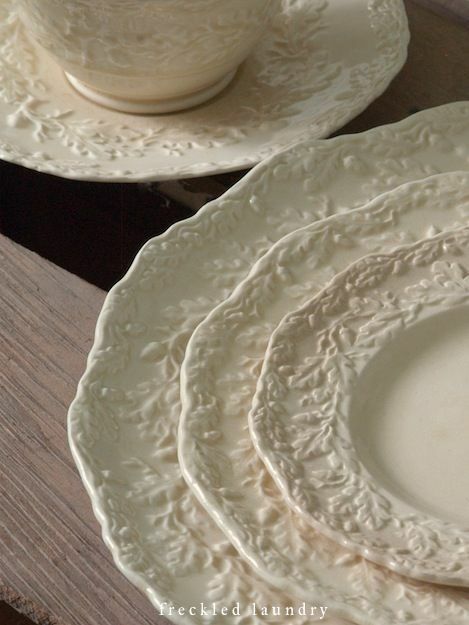 There are so many different patterned and colors of china to choose that white looks like a great option. 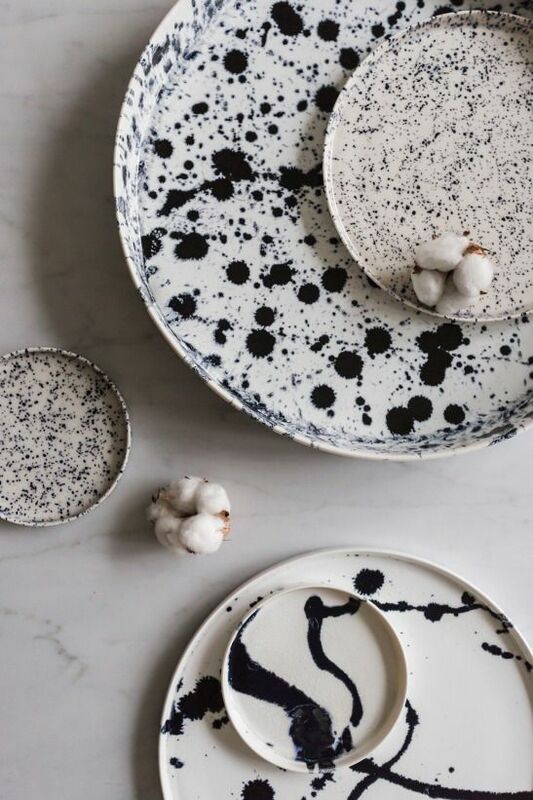 A white plate allows you to mix and match with so many other linens, china, candle holders and place mats, reducing the number of dinner sets you need to own. With eating plates out of the way, enhancing your table settings with unique looking serving platters whether they're family heirlooms, something from your travels or a special gift, can be transformative. You can use modern, simple, decorative; as long as it blends with the rest of your theme you are good to go. 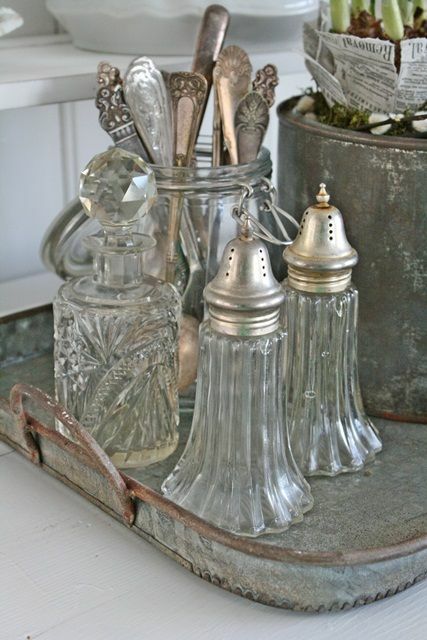 From a fabulous antique glass platter or stunning silver dish as a centerpiece adorned with fresh flowers or tiny desserts, a set of glasses with candles; there are lots of elements to mix and match that can look fancy or rustic. It all depends on how you put them together and the mood you are setting for the look you are trying to achieve. 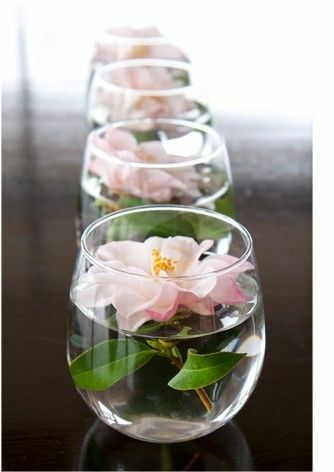 You can always switch around pitchers, glasses and goblets, using them as vases or candle holders. 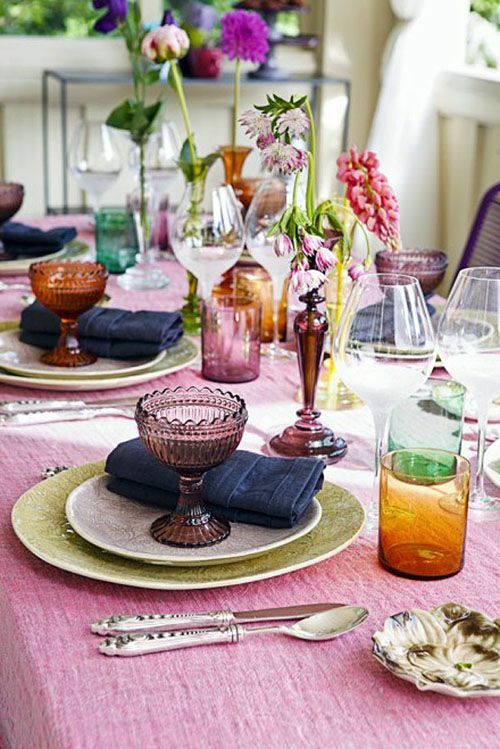 Glassware can be varying heights and colors for a more interesting look. But sparkling clean is important. To remove spots from glassware just soak them in vinegar and make sure they are rinsed well.. nothing spoils the taste of wine like vinegar. You can set you flatware according to the occasion. You can place out in a traditional fashion, where guests use the outermost utensil first, working inwards toward their plate or roll it in a napkin and tie it with a ribbon and place at each setting. You can make this fun, formal, playful or traditional. This is up to you, but one way of keeping with a theme. 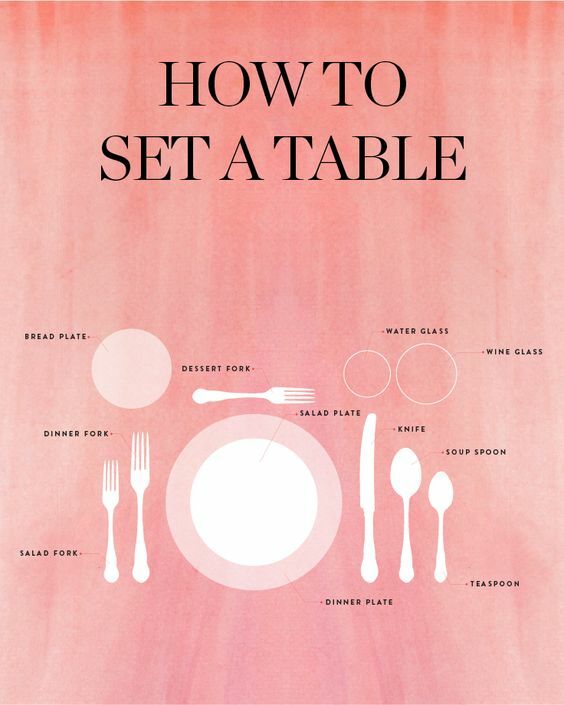 You can find more place setting formats here. Napkins, tablecloths and runners are the perfect way to add color, texture or a theme to your table setting. The fastest way to do this is by using a tablecloth. It protects the table and adds color and texture. Today, not as many people use tablecloths; ironing and storing them can be a chore, but if you like using tablecloths it should have an 18” over-hang; touching the top of your guests’ laps. If you prefer the look of a bare, minimalist table top, use a table runner to add the color of your choice. Table runners can set the tone while showing off your beautiful table. 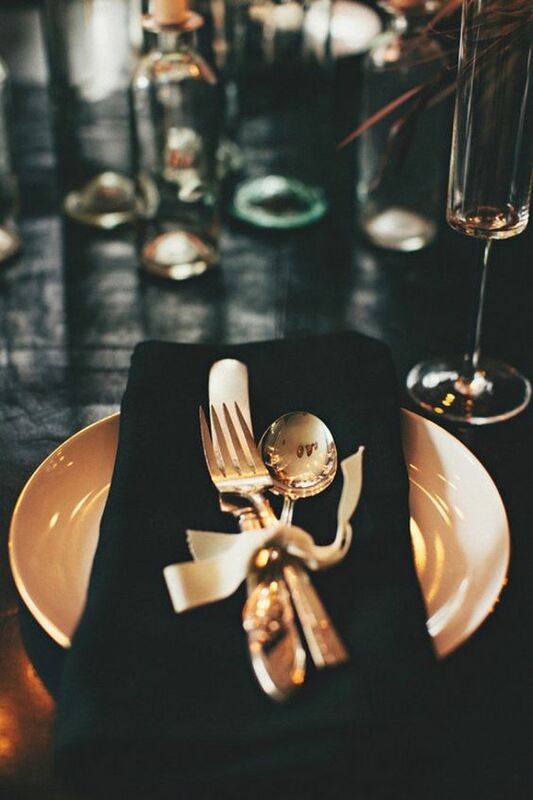 Napkins can easily be folded to stand alone or on a plate, adding some height to your table top. Napkins are often placed to the left of the plate, or on the service plate but this doesn't have to be the case. The average napkin size 16 to 20 inches; the more formal the event the larger the napkin. 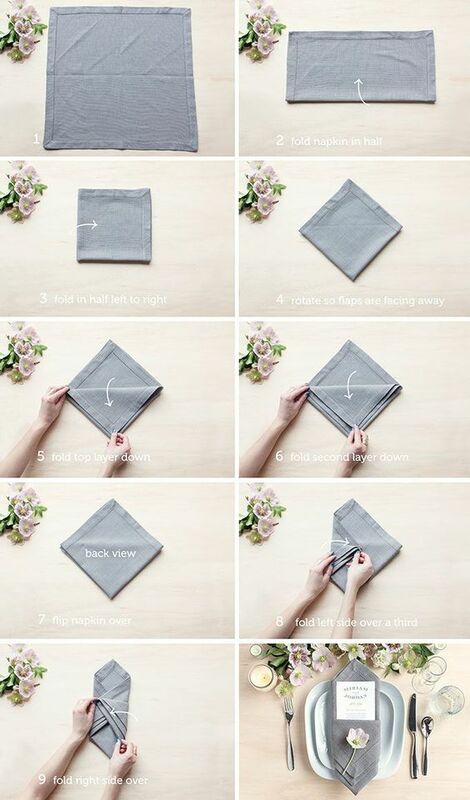 This is a great way to give an informal event a more formal or special feel by using generous sized napkins. As a host, your goal is to make guest feel comfortable, and while it might feel more casual to allow guests to choose their seating, planned seating can avoid a lot of confusion or an awkward scramble to seats. Hosts generally sit at opposite ends of the table or in the center of the table facing each other. If its a more formal event the highest ranking person sit to the right of the host or hostess. To encourage conversation, husbands, wives or partners should not sit side by side, and no two men or women should sit side by side. This isn't always possible but a pretty good rule. It encourages conversation and help guests to mix and not monopolize the conversation. The next step is to layering your theme is with greenery or memorable centerpiece, and some candles! For Holiday Table themes here is a post from Guest Blogger Jessica with ideas on setting the perfect holiday table. As the holiday season approaches, you will probably be busy cooking and preparing the home for family and friends. You can spend time decorating the walls, tables and other areas of the home, but one place where you might want to spend a little more time is the dining table. Even if you're not serving a meal, the holiday table is one that guests will usually see while they are in the home as they will likely walk into the kitchen at some point while visiting. 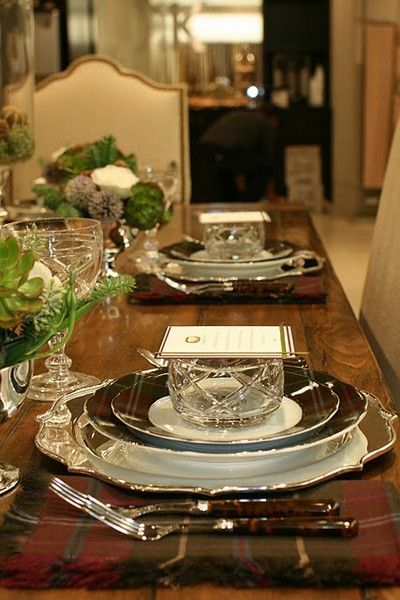 There are a few tips that can help you create a stunning table for your guests to enjoy. 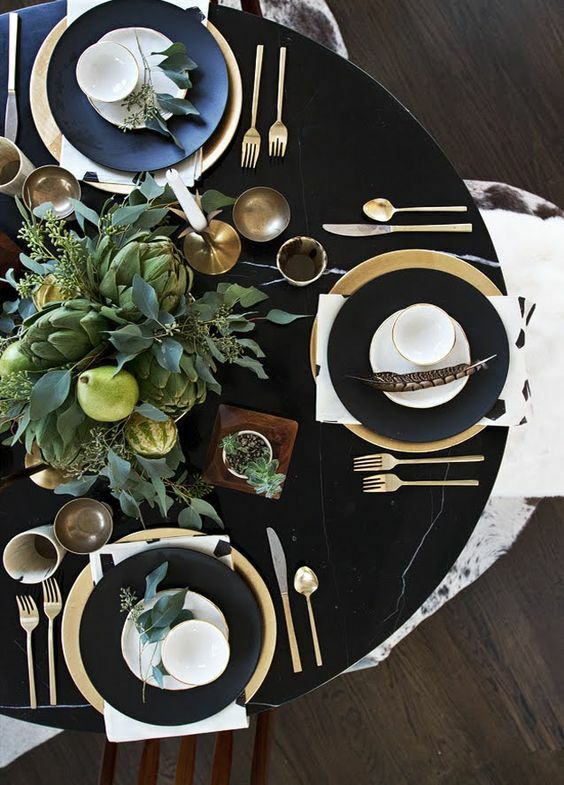 Gold is an accent color that can give any holiday table and elegant look. You want to use black or silver as a base before adding the gold details. Don't combine the black and silver as this will completely wash out the gold color and give an uncoordinated look. Large plates of the background color with smaller plates that are gold and glasses that have a gold rim make for a beautiful setting. Bring a bit of the outdoors inside if you're looking for a natural feeling in the room. This is an idea to use if the rest of the home is decorated with natural components, such as wagon wheels or woodland animals. A florist can usually give you bunches of holly berries, flowers, succulents or even holly to use as a runner along the middle of the table. 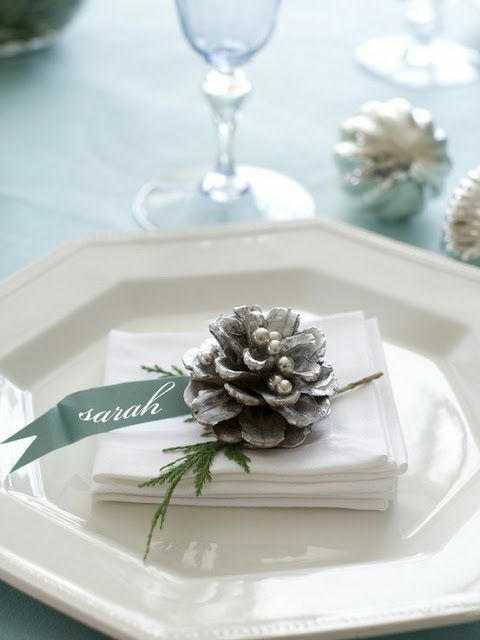 Add a few pine cones and fake snow for a cozy look to the table. A red and black or red and green plaid tablecloth works well as a background for this theme with white plates. 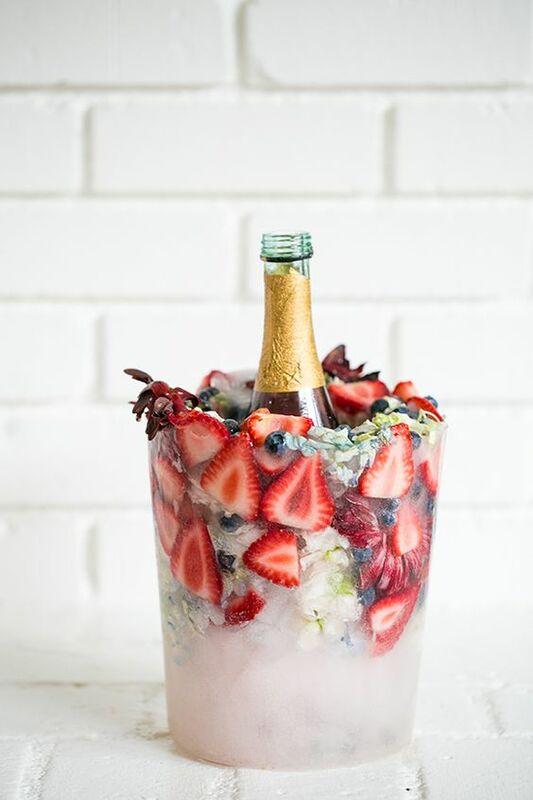 Since it's winter, why not create a frozen table setting? Start with an ice blue tablecloth with a lace overlay. Add plates that are either white or silver. With a few white, blue and silver ornaments and sparkling glasses, you'll create a winter wonderland that guests can enjoy while eating. You could also sprinkle snow on the table or place snowflakes of various sizes on the table that could be used as place mats. Holiday Table Settings - Singing For Fun! One of the things that many people like about the holiday season is music. 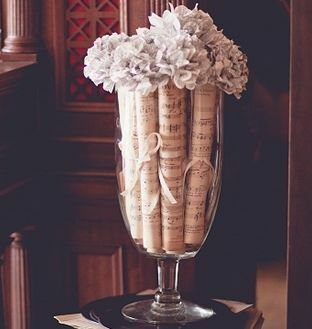 Use the lines from favorite tunes to make a long tablecloth of a black background and white letters in different fonts or add sheet music to a hurricane vase. 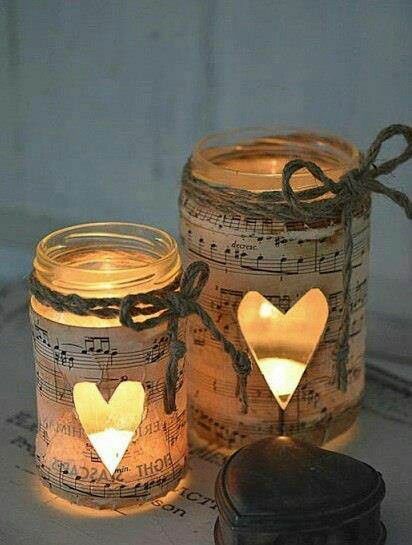 Add a few mason jars of different heights with candles to the center of the table to complete the look.